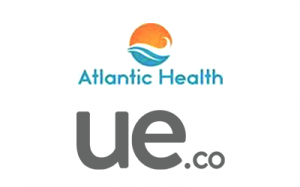 SAN DIEGO, CA, UNITED STATES, July 2, 2018 /EINPresswire.com/ -- Atlantic Health is leveraging the UE.co Platform to manage their customer acquisition operations, across multiple, performance marketing channels. Using AI driven data, the UE.co Platform captures valuable, long-term customers for online service providers by analyzing closed loop conversion data, prospect identification tools, and real-time price modeling. Platform features like consolidated vendor management and automated budget optimization are producing increased efficiency, including a 50% increase in overall monthly sales volume accompanied by a 25% reduction in Cost Per Sale. Moving forward, Atlantic Health will continue opting into additional platform features like SMS marketing management and live call transfer acquisition to drive its marketing strategy further. UE.co is a San Diego based provider of software platforms, digital marketing services, and customer acquisition solutions. The platforms are leveraged for enterprise companies looking to manage their consumer data better. UE.co, previously known as Underground Elephant, is recognized as an Inc. Fastest Growing Company, listed as an INC. 5000 company, and is a Certified Great Place to Work.